Diamonds and glitter are a girl’s best friend, and this is definitely the case for pageant newcomer Stephanie Bain from Renfrewshire. Stephanie has been chosen as one of eighteen lucky girls from Glasgow and its surrounding areas to compete for the title of Miss Glasgow later this month. 21 year old Stephanie from Erskine is an enthusiastic, confident, plucky young girl who is always on the lookout for something new to try and is well known for giving herself challenges. In the last year alone she has completed a wing walk, an abseil off the Forth Rail Bridge, danced in the opening ceremony of the 2014 Commonwealth Games sharing a stage with Rod Stewart, took part in a fire walk, ran her first 10k race, had her first surfing lesson (in Scotland), and took part in her first beauty pageant where she came runner up for Scotland. When not raising money for various charities or taking part in heart-racing events Stephanie divides her time between working for Renfrewshire Council during the week and volunteering as a first aider at events with St Andrew’s First Aid. Stephanie’s main focus in life is to help people and make a difference. With less than a week to go until the glamorous Miss Glasgow finals Stephanie is becoming more and more excited! The final will take place on Saturday 28th November at the David Lloyd Centre in Anniesland (tickets still available on the Miss Glasgow website). There are 4 catwalk rounds – casual wear, swimwear, charity shop, evening gown – where the girls will also be faced with questions from the host in order to bring out their personalities. Although Stephanie is not one for feeling nervous, she admits the swimwear round has been worrying her but she is going to give it her all. 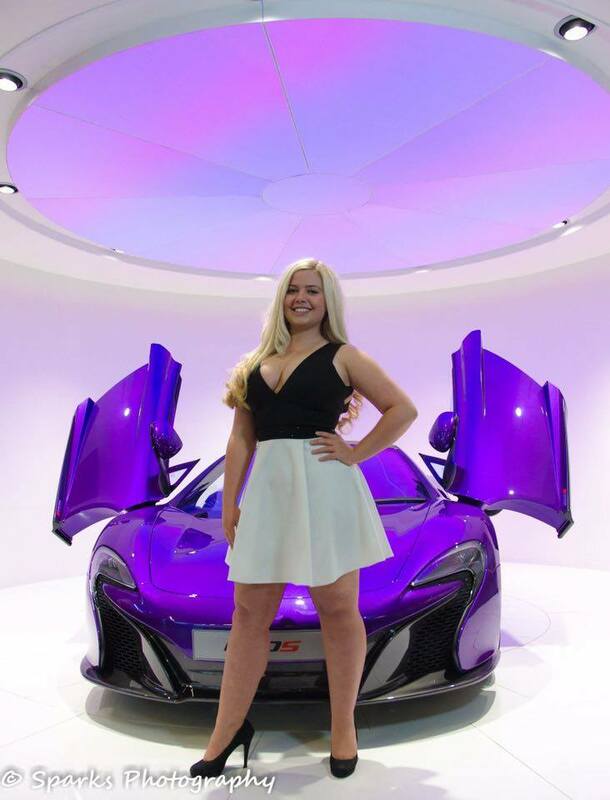 In the run up to the final, Stephanie and her fellow Miss Glasgow competitors were lucky enough to be invited to do a photoshoot at the McLaren showroom in Hamilton. Photography by Mark Stephens. It means a lot to me to be involved in Miss Glasgow as I know a lot of girls apply for this and know over 60 girls had interviews for taking part (only 18 are offered places in the final). I didn’t even think I would make it through to the final. This means a lot to me because I want to be a good role model for younger girls in my area – I know I’m not the tallest or skinniest girl out there so want to show that you can do anything you set your mind to! I’m very comfortable in my body and happy being myself and that’s the example I want to set for young girls growing up who may feel a pressure to try and be something they are not. Although I’m comfortable with my body I am nervous for the swimwear round but I know some of the other girls competing are nervous for this too so it’s comforting to know we’re all in this together. 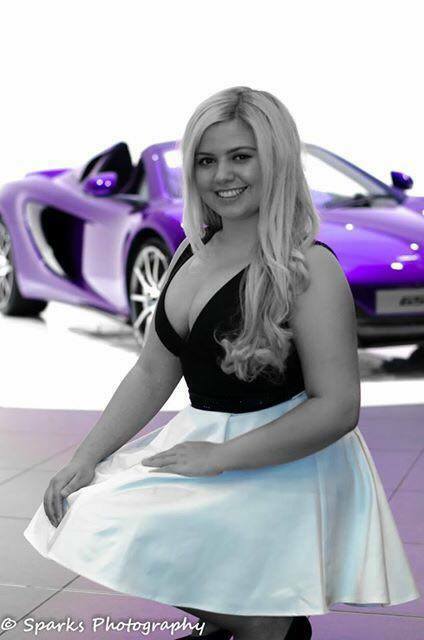 Before my photoshoot with McLaren I was also nervous about meeting the other girls but every one was lovely and we have already added each other on Facebook and have a group chat going to keep in touch and chat about our worries in the run up to the competition. I’m looking forward to just getting glammed up on the night of the final and showing off my outfits as well as my personality. I think the day of the final will be fun as all of the girls can get ready together and we can all chat and have a giggle and help each other out with our hair and zips, etc. It will be like getting ready for a big night out with the girls. Win or lose, I am proud to be taking part in this pageant and know it will be great fun no matter what the outcome may be. UWS Graduation a Family Affair for Local MP Should the vaping age rise to 21?